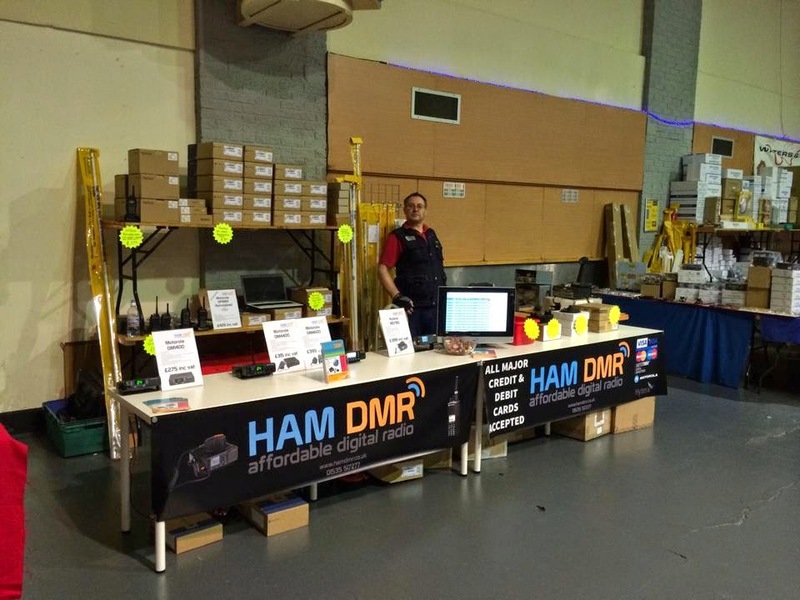 This Year at Blackpool I was on the other side of the table helping my good chum Adam (2E0LXA) with his DMR Radio equipment. He had booked two tables and I had some stuff to shift we set of early and we got there with lots of time to spare to finalize the setting up . We had already been the night before to set the tables out and fix the banners to them ,all that was needed was to write out the prices for some items . The Blackpool rally is always a good one to attend , even if you don't buy anything there is lots to do and see. I have been going for a long time and as long as I can I will attend future rallies. My Ju.... Equipment to sell . I found A few bits and pieces that I needed as well as some new AA rechargeable batteries for my camera. I hope to be on the other side next year as there is a whole lot of sitting around waiting for people to come an buy your equipment.